How many times have you spent your hard earned money on a bottle of wine or case of beer only to be disappointed? No more!! This is your chance to try it before you buy it! 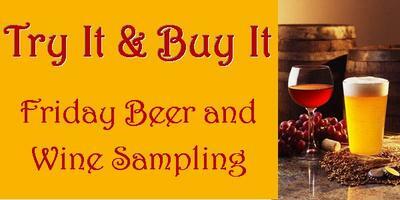 Come over to Neiman's where you can sample different beer and wine varieties. Impress your friends with a bottle of wine that tastes like $50, but secretly you picked it up for just $10! Be sure to stop by your local Neiman's Family Market to Try It & Buy It! Every Friday from 1-6pm. Have your tried our Shop Easy Kiosk? It is specially designed to make your shopping trip easier and provide useful information. There are literally THOUSANDS of recipes loaded on this kiosk ready for you to explore! Not sure what to make with that pomegranate? The kiosk has an answer! Are you diabetic? The kiosk has recipes just for you along with many other health and wellness categories. Wondering what type of wine to buy with dinner? The kiosk can help you there too! Simply choose what type of meal you are having and it will generate a list of wine pairings and explanations. You can also browse our weekly specials and build a shopping list. OH! Did I mention the kiosk will PRINT your shopping list AND recipes?! 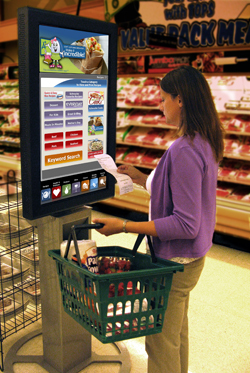 During your next shopping trip, stop by the kiosk and see what it can do for you! You can find it near the meat department.